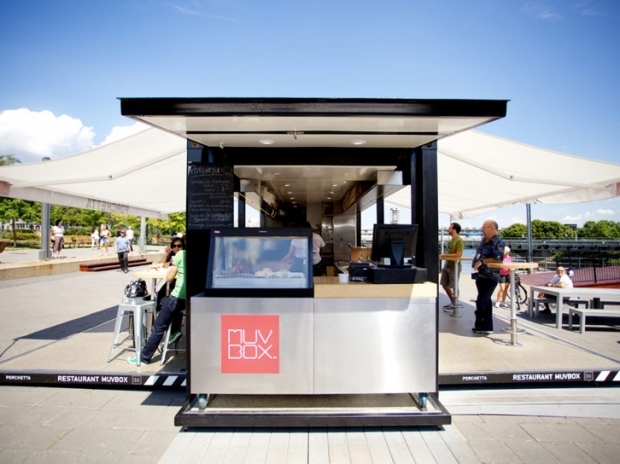 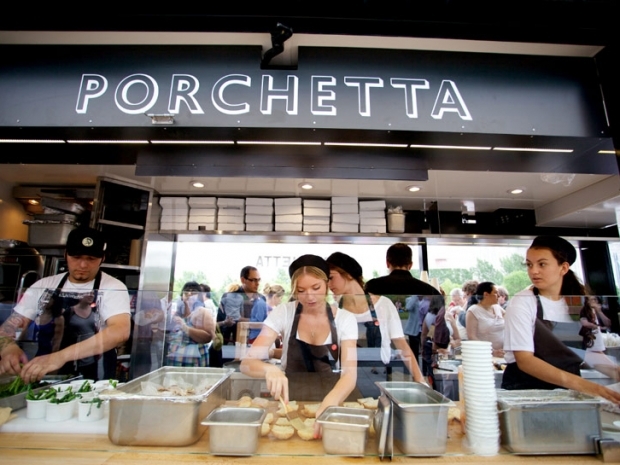 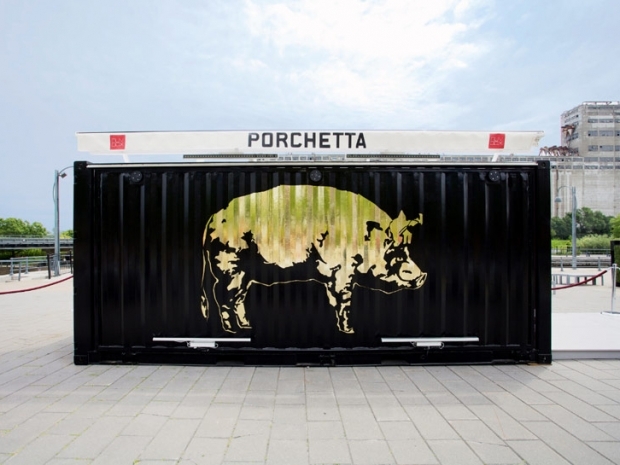 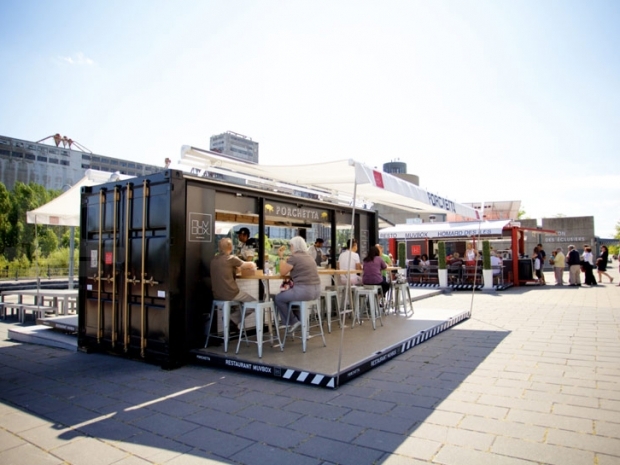 working alongside muvbox, a company that converts shipping containers into seasonal kiosks, guillaume noiseux and guillaume sasseville have developed ‘porchetta box’ a temporary restaurant serving the eponymous italian dish. 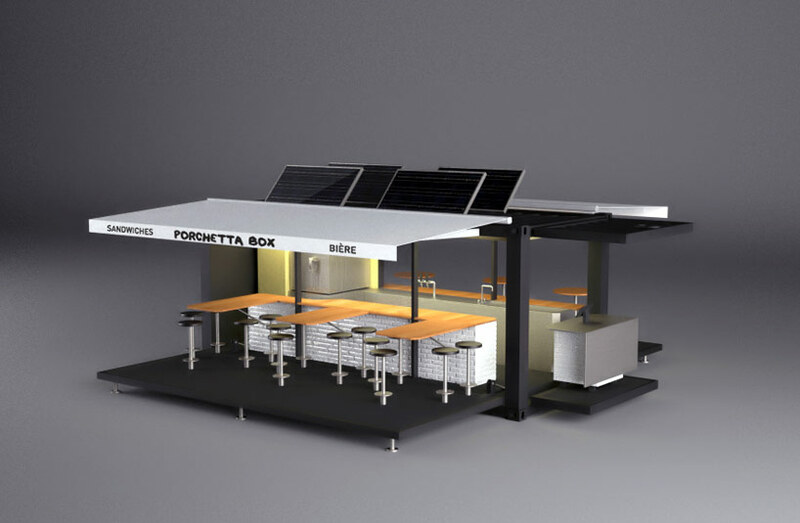 situated in montreal, canada, the concept attempts to convert a volume with intrinsically opaque characteristics into an open and inviting dining space. 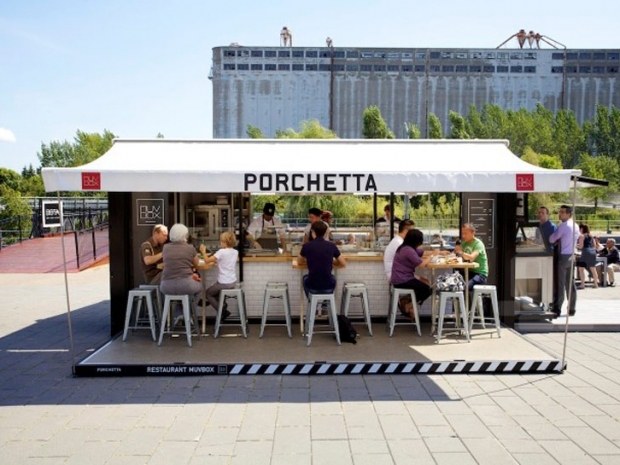 customers sit around the food preparation area where their close proximity to other diners creates compulsory interaction, as well as with staff assembling the locally sourced produce. 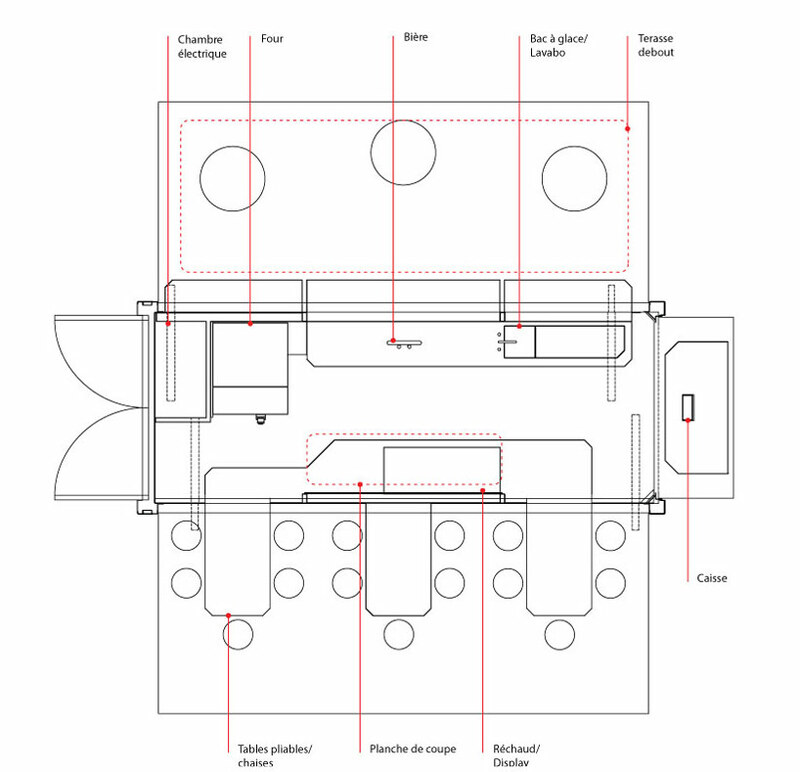 the designers were keen to maximize views of the kitchen, but also wanted to allow outlooks through the structure, capitalizing on its waterfront location. 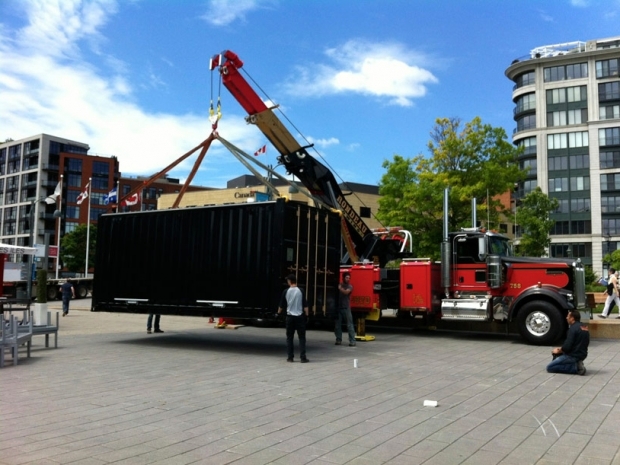 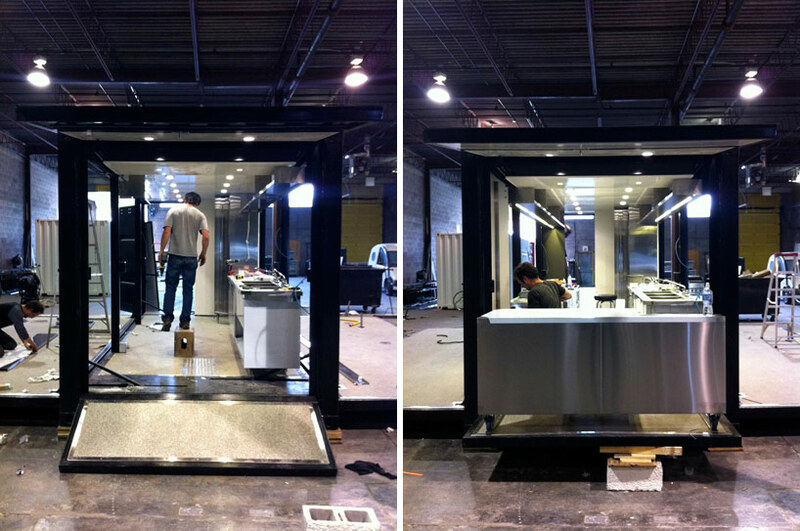 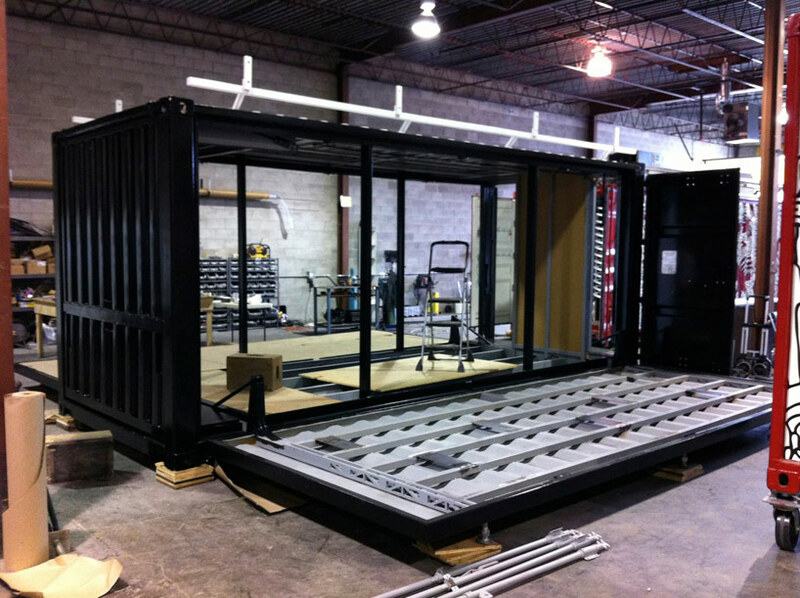 in the evening the kiosk can quickly be returned to its fully enclosed and completely secure state.